Ten years ago, Suzanne Lombard intended to run away from home; she’s not been seen since. She was only fourteen-years-old. Within the last ten years, the playing field has drastically changed. Suzanne was the daughter of then Senator Benjamin Lombard. More recently, he’s been the VP, and now running for the US presidency. Her close friend, Gibson Vaughn, was in jail at the age of sixteen when she disappeared. He’d hacked into the Senator’s computer detailing a supposedly criminal diversion of campaign funds to banks in the Cayman Islands. Instead of a longer jail time, he’d agreed to serve in the Marine Corps. Now an ex-Marine, he was an IT guy … before just being laid off from that job. George Abe had been the head of Lombard’s security team. Now, he’s seeking Gibson Vaughn’s help. They have a new viable lead. Gibson reluctantly agrees to become involved again, having been disappointed in all of the false leads of the past. But, he still loves Suzanne like a sister, and ultimately begins working with Abe’s contacts – an ex-CIA officer and an L.A. police detective. 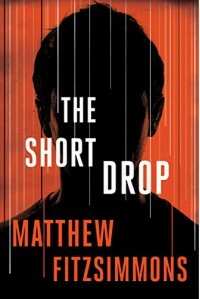 This is an unbelievably well-written debut thriller by Matthew FitzSimmons. He developed scarred characters you will grow to care about, and hope they’ll succeed against what seems like impossible odds. Good luck putting this suspenseful, but rather gritty, novel down. Among the plot themes are Suzanne’s cold case; shameful politics; computer hacking; and a creepy hired killer. This is the first book in what appears to be a fantastic start of a new series. The 2nd book in the Gibson Vaughn series,Poisonfeather, is set to be released September, 2016. Rating: 4 out of 5.